 2020 Faithful Cruise | Land. Sea. 49ers. A portion of the proceeds benefit Players’ causes. 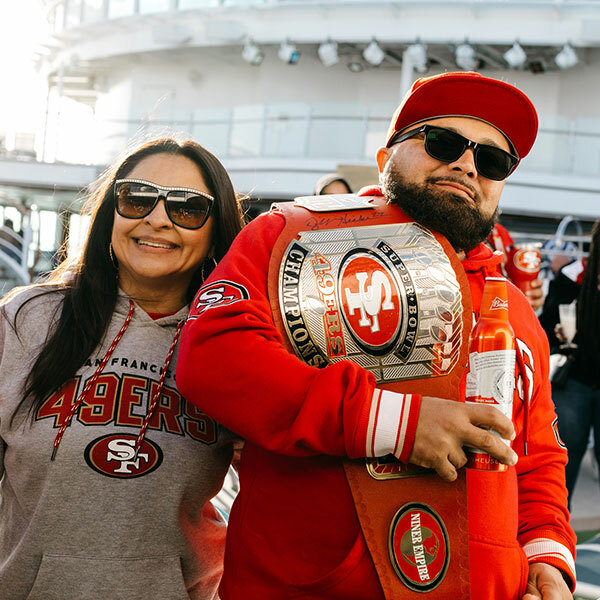 We invite you to join us our 2nd Annual “tailgate-at-sea” adventure, where you can hang with some of the most Faithful Fans and celebrated 49ers players in team history. You will enjoy four days of interaction with many 49ers greats, including past & present players! 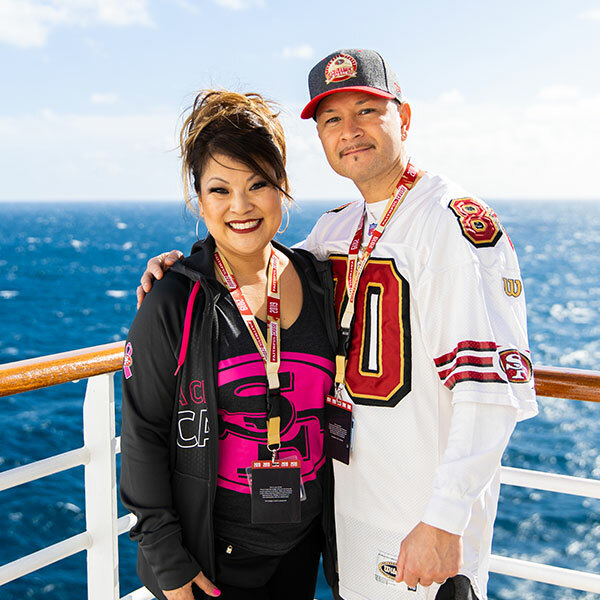 The Royal Princess is the perfect host for the 2nd Annual Faithful Cruise. 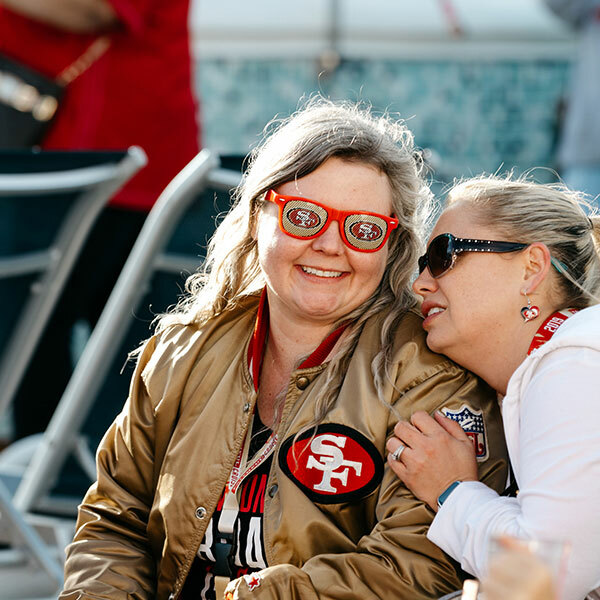 Our 49ers onboard activities will keep you engaged every moment of your cruise vacation. *The earlier you book, the lower your payments! Price per month/per person. Welcome Aboard Show, Game Rewinds, Q&A’s, Trivia and more new shows featuring the legends onboard. Enjoy a range of inclusive culinary delights to suit any palate, from endless buffet choice to gourmet pizza, decadent desserts and more. Non-alcoholic beverages including lemonade, ice tea, juices, coffee, hot tea. Be the first to know the latest & greatest Faithful Cruise news!